Cranberry Sauce, may help in fighting E. coli bacteria, responsible for most human illnesses, reveals a new study. 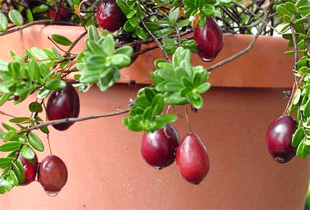 Cranberries are a cluster of evergreen dwarf shrubs found in cooler parts of the Northern Hemisphere. Most Cranberries are processed into juice, sauce, sweetened and dried, while the remaining are sold in fresh forms. Cranberry sauce is an indispensable part of tradition American and Canadian ‘Thanksgiving’ menus, and the European winter festivals. Terri Camesano, the Associate Professor of Chemical Engineering at WPI, and his team found that certain compounds in Cranberries attributed to making the Cranberry sauce, a possible anti-bacterial agent. For the study, the team made use of atomic force microscope and such other sophisticated tools, to study ˜Proanthocyanidins, a group of tannins, or PACs mainly found in Cranberries, and the manner in which they interacted with the bacteria at the molecular level. During the analysis, it was found that these compounds prevented the E. coli from sticking on to the cells in the body, which otherwise would have been the first step in catching infections. The chemical change, which the cranberry juice brings about, forms an energy barrier, which prevents the bacteria from adhering to the urinary tract lining. The measurements revealed that the adhesive forces between urinary tract cells and the E. coli were considerably reduced, with the presence of even a 5 percent solution of Cranberry juice. It was also found that E.coli grown in cranberry juice or the isolated PACs did not have the ability to form biofilms, which lead to formation of bacteria. Camesano agreed that the positive findings about cranberry juice would increase its consumption rate, which would only do well for the body.